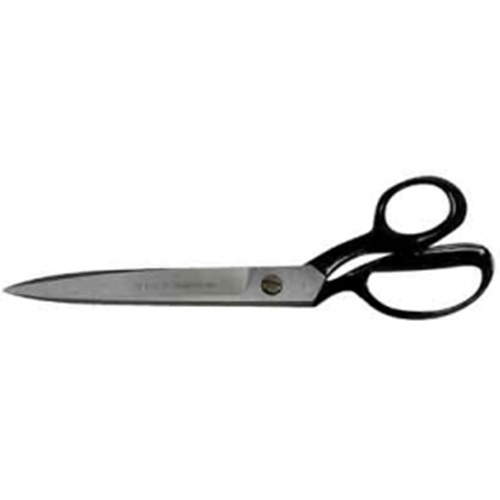 12" Industrial Shears Precision engineered by American craftsmen to insure maximum cutting edge hardness and durability. One blade ground to a knife-edge for faster cutting of today's synthetic fibers. Hot drop-forged with polished blades, black handle and a patented pivot. Length: 12" Blade length: 6-1/8"